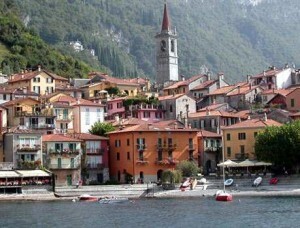 Where is this 'urban landscape'? Los Angeles? Chicago? Beijing? Delhi? Ankara? Sydney? 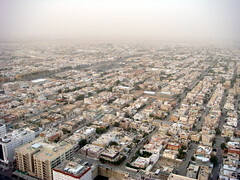 No: it is a view of Riyadh, in Saudi Arabia, from the Al Faisaliyah Center. What a wasted opportunity. With so much faith, so much central power and so much wealth…. the designed urban ‘landscape’ could have been so very much better. Even now, they should commission a Strategic Urban Landscape Plan for the city – after running a multi-stage competition to select the best firm. What’s more, it would have helped create a more-sustainable landscape in preparation for when Saudi Arabia’s water and oil have been depleted. Both are ‘quarried’ on a non-renewable basis. This entry was posted in context-sensitive design, Landscape Architecture, Sustainable design, Urban Design and tagged Kingdom of Saudia Arabia, landscape planning strategy on 31st October 2008 by Tom Turner. Christine’s post on the Lilypad Islands have a Garden of Eden quality. 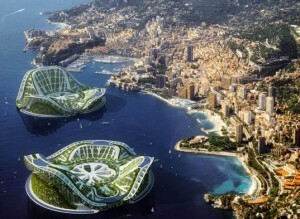 Vincent Callebaut propose a New Eden for us to inhabit when we have finished wrecking the Earth. The Lilypad Islands remind me what an excellent idea cruise ships are for other people’s holidays. Providing there is no pollution, just think how much better the all the world’s coasts would be if all the holidaymakers could be moved offshore. 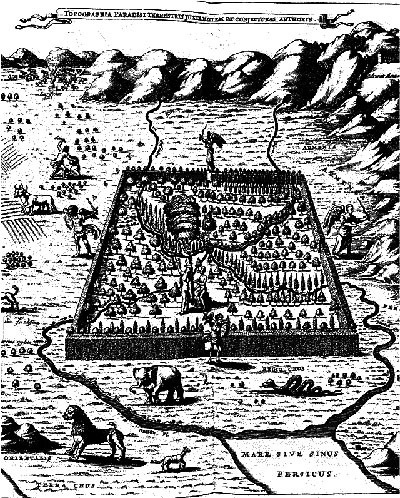 Athanasius Kircher’s drawing ( 1675) shows the Garden of Eden between the Tigris and Euphrates, west of the Persian/Arabian Gulf. 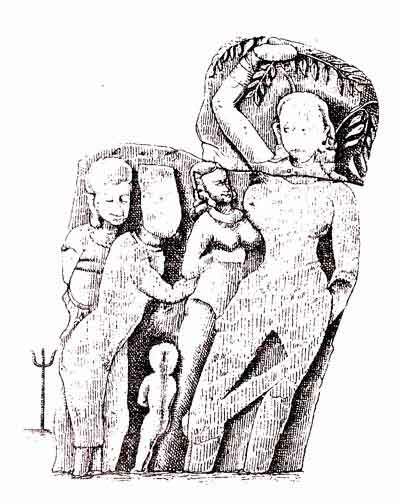 He shows the Tree of Knowledge of Good and Evil, four angels guarding the gates and Cain killing Abel in the top-left corner. Majority opinion amongst modern commentators favours Kircher’s location of the Garden of Eden in Southern Iraq, but there are many competing theories. 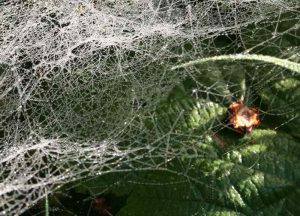 This entry was posted in garden history, Sustainable design and tagged Garden of Eden on 28th October 2008 by Tom Turner. Vincent Callebaut Architectures has an innovative and evocative conceptual solution to the problems of climate change and land use! These lilypad like structures inspired by the giant Amazonian lilypad are floating zero emission cities complete with mountains, aqua culture fields, central park, suspended kitchen gardens and rivers. 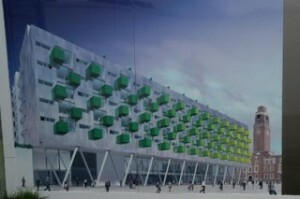 This entry was posted in Sustainable design on 28th October 2008 by Christine. 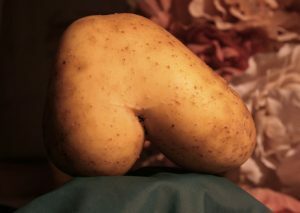 Whoever would have dreamt that a potato could be so saucy? This prime example of a Charlotte was dug yesterday. For those who like waxy spuds, its flavour is without rival. The Potato Council writes that: “Charlotte is a salad potato. With its distinctive long, oval shape, white skin and moist texture it is ideal for so much more than just salads. Scoring 4 on the waxy / floury scale Charlotte stays firm when cooked and can also be very successfully sauted and even roasted in its skin for a firm ‘roast’ potato. It is frequently sold washed and in bags or punnets which adds to the convenience value of this widely available potato.” With food like this, the worrying decline in the birth rate could be reversed. 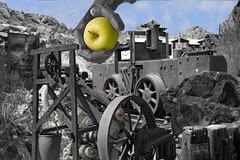 This entry was posted in Sustainable design and tagged urban food production on 26th October 2008 by Tom Turner. While there is an overriding sense that the ‘original’ has been lost in the overwhelming proliferation of the simulacrum: this is not necessarily true. Australian architect Richard Francis Thorpe has an interesting analysis of the problems of Post Modernism in design in his article ‘The [im]possibility of slowness’ in UME Magazine. http://www.umemagazine.com/scrollSpreads.aspx. This entry was posted in public art and tagged public art on 23rd October 2008 by Tom Turner. The Landscape Institute has some policies. There are two of them. One is about Brownfield Skills and the other about Climate Change. So far as I know, neither are major areas of professional employment for landscape architects. My recommendation is that unless and until the LI comes up with something better the Landscape Institute should pluck up its courage and publish the policies which Alan Tate and I helped put together in 1995. They are only 13 years old. As the Credit Crunch evolves into the Recession, the LI should do some good for the environment – and help its members expand their areas of operations. Nothing venture – nothing gain. The 17.10.08 issue of Vista (‘News, views and analysis from the Landscape Institute’) has an interesting report on how the Town and Country Planning Association (TCPA) ‘has thrown down the gauntlet to developers and planners with its ambitious new eco-town worksheet on green infrastructure’. I hope this creates lots of work – but who will do it? There is also a report on Northala Fields ‘ a revolutionary new park development in Ealing’ designed by artist Peter Fink with architect Igor Marko of FoRM Associates. The item does not say who the landscape architects were. The LI ‘Position Statement’ on Climate Change suggests more Green Infrastructure might help a little and gives the following examples: street trees, hedgerows, pocket parks, cemeteries, small woodland, city parks, green networks, forest parks, lakes, rights of way, regional parks, rivers and floodplains, long distance trails, reservoirs. The document would sound better if called a ‘Policy Statement’ but even then I doubt if the networks would be clamoring to interview the LI President. The examples of projects are a little better but surely none of them were initiated to combat global warming. 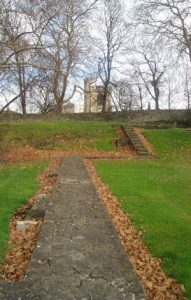 This entry was posted in Landscape Architecture, Public parks and tagged landscape institute, Town and Country Planning Association TCPA on 20th October 2008 by Tom Turner. The Garden History Museum and the Landscape Institute are holding a seminar (Monday 1st December 10.30am to 4.30pm) on sustainable garden and landscape design. It will be ‘chaired by television presenter and garden designer, Joe Swift’. What a strange event to have planned. Is it an opportunity for Joe The Gardener, or for the Landscape Institute, to learn about the social benefits of sustainable garden and landscape design? For more details see the Press Release. This entry was posted in Garden Design, Sustainable design and tagged Garden History Museum, landscape institute on 20th October 2008 by Tom Turner. The gardens of Chateau de Courances are acknowledged as one of the most integrated examples of an essential relationship between architecture and garden. I would have to agree. 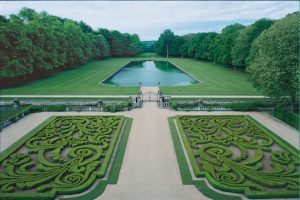 The intricate formal design of the moated parterre garden close to the chateau leading onto the serenity of the pool of water in the garden enclosed by an avenue of trees beyond, gives a gradual sense of dematerialisation from the formal to the natural. This movement from the high artifice of the Chateau with its formal garden to the distant glimpse of what might be the wilderness beyond creates a wistful sense of connection between two differing but equally lovely outdoor environments. This is a garden for contemplating from windows and for promenading within…but it is best enjoyed in solitude or populated with a profusion of people in a celebratory mood. The gardens at Courances are considered one of the top fifty gardens by Tim Richardson. Tom’s description is at Gardenvisit. This entry was posted in Garden Design, Landscape Architecture and tagged enclosed gardens, landscape and architecture relationship, landscape heritage on 19th October 2008 by Christine. 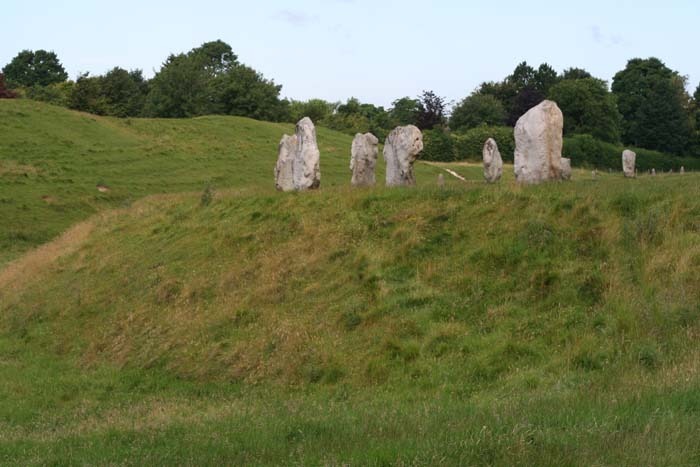 Avebury, Delphi, Ryoanji and Salisbury Cathedral Cloister are sacred places. But are they also gardens? Yes: they are enclosed outdoor spaces; they were designed to be beautiful; they were not made for functional horticulture. 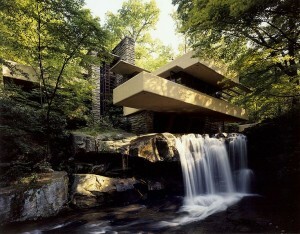 Sun, shadows, water, plants and structures are intrinsic to their design. Ryoanji, you might say, is a dry garden. Yes it is, but moss grows around the famous stones and the play of tree shadows on the gravel is part of the fascination. According to Wikipedia “Holiness, or sanctity, is the state of being holy or sacred, that is, set apart for the worship or service of gods. It could also mean being set apart to pursue (or to already have achieved) a sacred state or goal, such as Nirvana. It is often ascribed to people, objects, times, or places.” I have one quibble with this definition: the Buddha did not recognize a god and Buddhism is the world religion which has had the most influence on garden design. In a demythologised sense, if you wish, I believe that sacredness remains a vital concern in garden design. We want to have places which are ‘set apart’ from the everyday world of bustling stress, which fill the soul and solace the flesh. I wish those who plan suburban subdivisions and housing estates had an appreciation of how space can be ‘set apart’ and yet connected. This entry was posted in Garden Design, Garden Visiting and tagged Buddhist garden, holy place, sacred garden, sacred landscape, sanctuary on 15th October 2008 by Tom Turner. I came across this drawing of the Buddha’s birthplace recently and it reminded me what a cruel thing Kenzo Tange did at Lumbini. 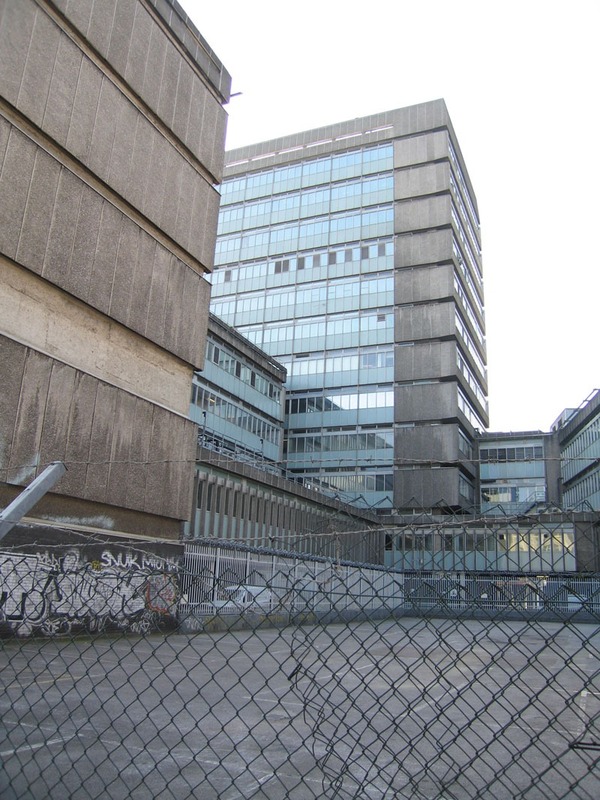 Like Corbusier, Tange was a gifted designer and a terrible planner. An ability to design objects (eg buildings) sometimes goes with an understanding of outdoor space, and gardens, but in the case of these two leading architects from West and East it did not. ‘Baroque Buddhism’ is as unwelcome as ‘Baroque Communism’, in politics and in design. This entry was posted in Asian gardens and landscapes, context-sensitive design, Garden Design, Historic garden restoration and tagged Buddhist garden design, Lumbini on 13th October 2008 by Tom Turner. Britain’s TV Channel 5 is running a series (8pm on Thursdays) hosted by Laurence Llewelyn-Bowen and called ‘I own Britain’s Best Garden’. It is a welcome contribution to debate about garden design but the point it dramatizes is the pathetic standard of TV discussion of the subject. Alan Titchmarch blazes the trail each year at Chelsea with remarks like ‘Wow – not bad is it’ and ‘This’ll set your knees wobbling – it certainly does mine’. Laurence Llewelyn-Bowen is more sophisticated but the impression, perhaps correctly for its audience, is that the presenter, the critics and the designers lack substance in their chosen field. I know that many of the participants earn their living from garden design but this does not make them expert designers or expert design critics. C’mon producers: you can do better – much, much better. Garden TV has been a massive growth area over the past 20 years. The time is right for a push into quality. Kevin McLeod conducts a more sophisticated discussion about architecture, as does Jeremy Clarkson about cars and Jamie Oliver about food. Useful note to TV executives: Jeremy Clarkson’s Top Gear sells round and round the world. This entry was posted in Garden Design, Garden Visiting and tagged tv garden programmes on 10th October 2008 by Tom Turner. 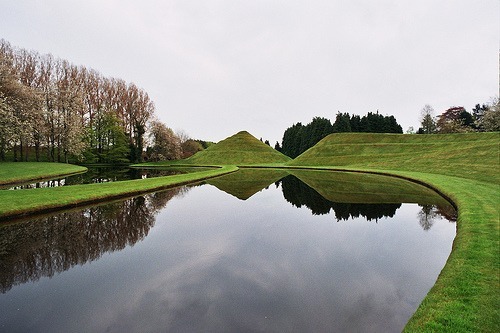 “Gardens like cities are whispering games in which the key is to pass on meaning even as it changes.” And “Design is like a conversation, if you knew the outcome it wouldn’t be worth having…” Charles Jencks in ‘The Garden of Cosmic Speculation’ (2003). This entry was posted in context-sensitive design and tagged Charles Jencks, site-related sculpture on 10th October 2008 by Christine. PALACE Residences. – There is no gentleman’s house in the west of Scotland, that, in its present state, can properly be, denominated a palace residence; but Drumlanrig, from its commanding situation, the extensive territory belonging to it, and the wealth and rank of its owner, we shall here consider as of this class. We feel the more justified in doing so, from the extensive improvements now carrying on in the grounds, and which will, doubtless, in a short time, be extended to the house. Nothing can exceed the dignity of the situation of this edifice; placed on a knoll, on the summit of an advancing ridge, backed by an extensive range of wooded hills and mountains, and commanding, in front, and to the right and left, as far as the eye can reach, a varied surface of corn and posture land, watered by a considerable stream which skirts the margin of the park, and terminating in hills of heath and pasture in the horizon. To whatever side the eye turns of this extensive and magnificent prospect, the whole is the property of the Duke of Buccleugh. As this property now exists, in a general point of view, there is little for the landscape-gardener to do, except forming two new approaches to the house, a new kitchen-garden; and modifying, by planting and by some changes on the surface, the park and pleasure-ground. An excellent kitchen-garden is already walled round, and the gardener’s house, about to be commenced, we were informed, will be the first in Scotland, not only as a commodious and complete dwelling, but as a specimen of cottage Gothic architecture. The designer of the garden,. 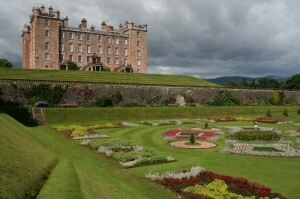 Mr. Hannay, is the present head gardener at Drumlanrig; and the architect of the house is Mr. Burn of Edinburgh. As far as we saw the new line of approach, it did not appear to us at all satisfactory; because we could not conceive how the ascent to the house by it could be rendered either easy to travel over, or agreeable to the eye. Judging from a hasty glance, we should say that the best way to procure two approaches of perfectly easy ascent, and descent, of great beauty and variety in the views seen from it, and of striking effect on arriving at the house, would be, to commence two or three miles to the right and left, and to lead from the present public road, a private one, on a uniform but very gentle slope, along the side of the range of hills at the back, or what is, we believe, the south side of the present flower-gardens. We would there form a court-yard to the palace, instead of the present one on the western front, reserving the extensive prospect from the north front to be obtained by the stranger first from the windows. As pleasure-ground, we would follow up the present style of the place, and form such additions and variations as would place two ranges of terrace-gardens on each side of the east, west, and north fronts. The beautiful terrace-gardens already existing show with how much effect this might be done. Whether we might not change the course of the river in some places, or produce ramifications from it, in such a way as to show more water from the palace windows, we did not take time enough to consider; but, at all events, we think we ascertained the practicability of diverting a part of its waters in such a way as to produce a powerful waterfall in one place, and a lake in another. We have great pleasure in stating that the flower-gardens were in the highest order and keeping, and the grass edgings to the walks entirely to our mind. Mr. Hannay we found fully concurring in all that we had said on that subject in our October article. Some instruction, as well as amusement, may perhaps be obtained by the reader, from the perusal of what the celebrated William Gilpin said of this place, then called Queensberry House, in his Observations relative chiefly to Picturesque Beauty in Scotland, &c., published in 1776. “The garden front of Queensberry House,” he observes, “opens on a very delightful piece of scenery. The ground falls from it, near a quarter of a mile, in a steep sloping lawn, which at the bottom is received by a river; and beyond that rises in lofty woody banks. All these objects are in the grandest style, except the river; which, though not large, is by no means inconsiderable. It is amazing what contrivance has been used to deform all this beauty. The descent from the house has a substratum of solid rock, which has been cut into three or four terraces, at an immense expense. The art of blasting rocks by gunpowder was not in use when this great work was undertaken. It was all performed by manual labour; and men now alive remember hearing their fathers say, that a workman, after employing a whole summer day with his pickaxe, would carry off in his apron all the stone he had chipped from the rock. How much less expensive is it, in general, to improve the face of nature, than to deform it. In improving, we gently follow; in deforming, we violently oppose. The Duke of Queensberry of that day, who carried on these works, seems himself to have been aware of his folly. He bundled up all the accounts together; and inscribed them, as I have been informed, with a grievous curse on any of his posterity who should ever look into them.” (p. 84.) The other observations made by Gilpin on this place are excellent, as, indeed, is all that he has written on picturesque beauty; always, however, making allowance for his almost exclusive admiration of that kind of beauty. This entry was posted in Garden Design, Garden Visiting, Historic garden restoration and tagged Scotland Garden Visiting on 7th October 2008 by John Claudius Loudon The Conductor. John Claudius Loudon concluded his 1831 visit to Drumlanrig with the alterations quoted below. Following upon my own visit in 2008, I would also like to proposed an alteration. 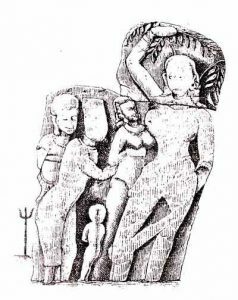 It is shown in the illustrations of the lower terrace. 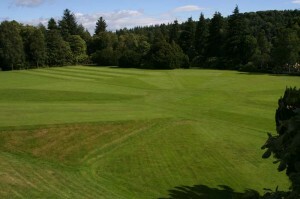 It appears from the patterning of the grass that an elaborate parterre once filled the space. 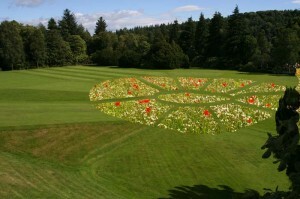 My proposal is to re-create the old bedding pattern with a wild flower meadow, as shown on the collage. It could be done by the simple expedient of ploughing the land and sowing a different wild-flower mix each year. The result, I believe would be beautiful, good for butterflies and a popular new attraction for Drumlanrig. This entry was posted in Garden Design, Garden Visiting, Historic garden restoration and tagged Drumlanrig House, Scotland Garden Visiting on 7th October 2008 by Tom Turner. In their paper ‘Being Here – Attitude, Place and Design for Sustainability’ presented at the Allemandi Conference Craig Badke and Stuart Walker discuss the the difference between ‘having’ and ‘being’ for sustainable design. In these two examples, the historic town of Verrena on Lake Como and Frank Lloyd Wright’s modern organic masterpiece ‘Fallingwater’, architecture and nature exist in a symbiotic relationship. Both respond to topography and stunning natural settings creating a strong sense of place. Note in both instances the use of outdoor terraces and potted plants to create transitional public/private spaces between the indoors and outdoors. Having which implies ‘possession’ to some extent; depends on the ability to control of something external to oneself, whilst being rather suggests the ‘enjoyment’ of what is present to oneself without the need to possess it. It enables the person to exist in radical freedom in relationship to the environment; not to exploit the environment but to harmonise with it. Surely it is possible to promote such an approach to our urban environments? 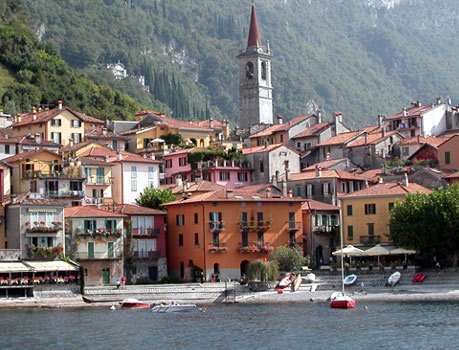 This entry was posted in context-sensitive design, Sustainable design, Urban Design and tagged Falling Water Frank Lloyd Wright, Sustainable design, Verrena Lake Como on 7th October 2008 by Christine. This photo (taken near Waterloo East Station in South London) helps make the point that the ‘urban design theory’ underpinning the misguided design of Barking Town Square dates from the 1960s. It was wrong then and it is wrong now. Muf Architecture’s office is in East London but they could well have been inspired by Waterloo. 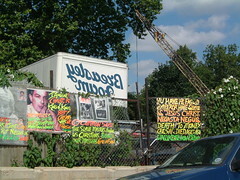 Note the chain link fencing. Why not plant it with convolvulus? – the Rasta temple in Camberwell could let us regard this as a context-sentsitive approach! Or, better, plant it with runner beans – nice red flowers and then some good organic food to eat. 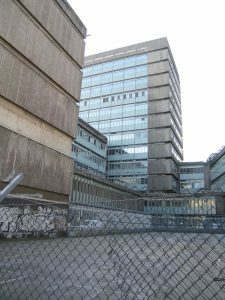 This entry was posted in context-sensitive design, Landscape Architecture, London urban design, Sustainable design and tagged urban farming on 3rd October 2008 by Tom Turner. Rosanna Vitiello & Marcus Willcocks, researchers with an interest on the relationship between the urban realm and our sensory coding, as part of their joint project ‘The Impact of the Unknown – Unravelling the Urban Lexicon’ speak of the Barking and Dagenham Council’s project as “an impressive regeneration programme” in their blog of October 2007. Is anyone aware whether they have conducted follow-up research with ‘Participants’? This entry was posted in context-sensitive design and tagged Add new tag, context-sensitive design, Urban research on 3rd October 2008 by Christine. This entry was posted in context-sensitive design, Historic garden restoration and tagged Climate, heritage, History, Land use on 3rd October 2008 by Christine. 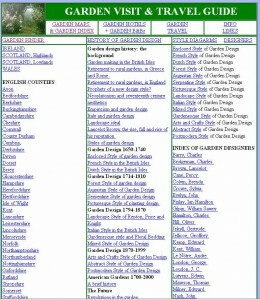 Gardenvisit.com was launched in October 1998. So now we are ten! Unlike many ‘Dotcom Frenzy’ websites, the aim was not gold. Feeling a little smug about having the text of my 1986 book on English Garden Design since 1650 as a computer file (rolled on from BBC format to MSDOS), I wanted to do something with it. Like Ted Nelson, I was attracted to the idea of a hypertext publication in which readers could chart their own routes. This was done by putting in hyperlinks from the 1986 text to pages about specific gardens and biographies of designers, painters, patrons etc. Another aim, still only partially achieved, was to bring together the histories and theories of garden design and landscape architecture. The first book I wrote was about both these subjects. But when the publisher dropped out I could not find a replacement. Other potential publishers told me that it should be two books and this is what it eventually became: one on English garden design since 1650 and the other on Landscape Planning and Environmental Impact Design. Both are now available on the Gardenvisit.com website, together with about 25 other online eBooks. 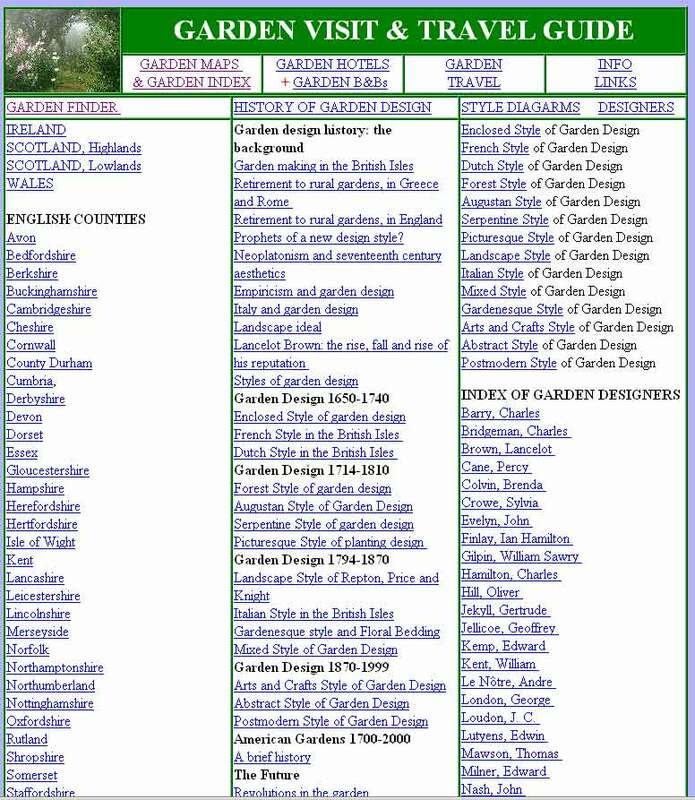 I continue to edit content for Gardenvisit.com, no longer as owner-manager, and other topics have sprung from the original content: Garden Tours and Garden Design/Products. They are linked by a concern for Context-sensitive Design, which has become a main theme of this Blog. ‘What know they of England who only England know?’, asked Kipling (see Sukh Mahal). Travel induces a love of places, a context-sensitive design approach – and a need to visit ever more gardens! This entry was posted in context-sensitive design, Historic garden restoration and tagged dotcom era, www.gardenvisit.com on 1st October 2008 by Tom Turner.